This past week saw Phil and I stripping paint from the frame doors. Thursday afternoon, we gave the completed doors a coat of primer. We also cleaned up the fireman's side cab and the area below the cab on the engineer's side for painting. Saturday, we masked these areas and gave them a good coat of black. I have been working on drawings for the cab and hood lettering. 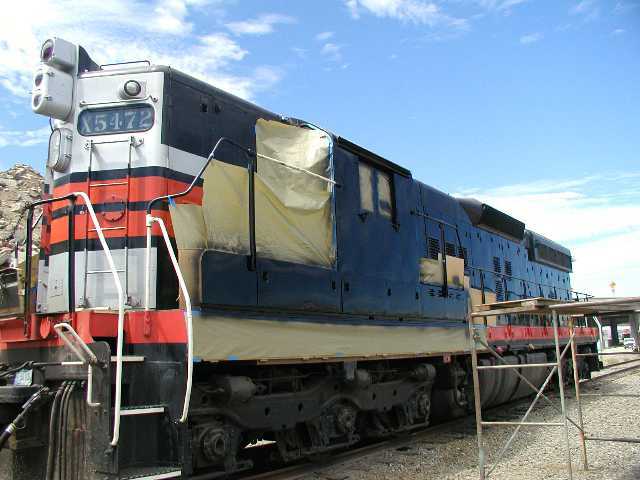 The "Southern Pacific" is a copy of that on the 5623 and the cab number came from the "5" on the "5623" and the "472" from the "2472" at the GGRM. As soon as the black paint is completely cured, we will start on the this project. Meanwhile, the focus is on preparing the frame and ends for the correct red, silver and black paint layout. While needle gunning the front end sheet today, I came across an interesting little relic on the bare metal. 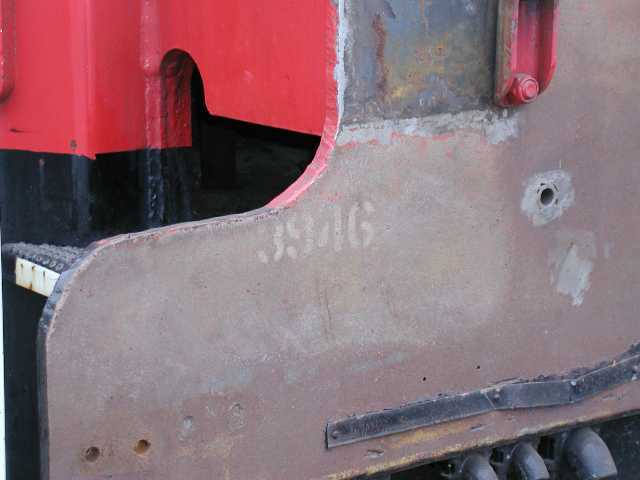 There is the remains of a painted "3946" which was stenciled there for some reason. 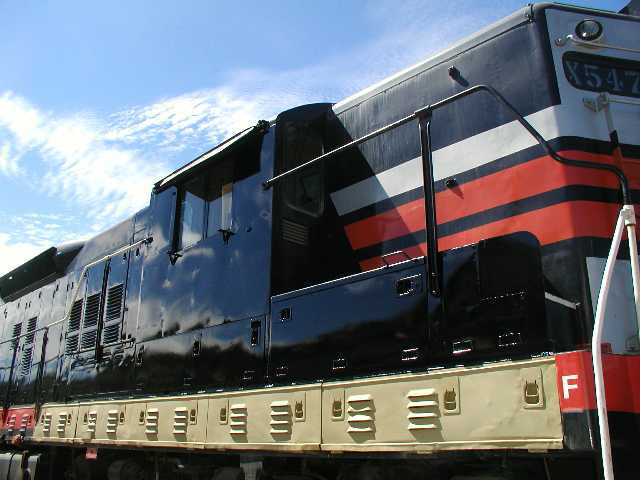 Our locomotive was numbered 3946 from 1965 to 1977. 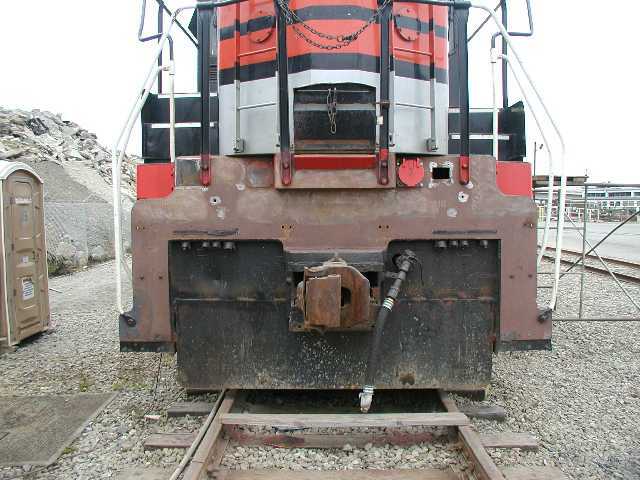 I cannot imagine why this number would be stenciled on the locomotive except in the case of wreck repair when the front sheet might have been replaced. Perhaps this ties in with the replacement of part of the nose that I mentioned earlier in these reports.